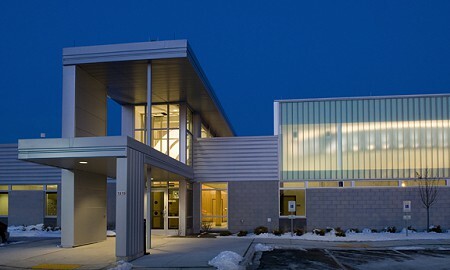 The new headquarters for the Sheboygan Police Department consists of 33,626 sq.ft. of offices, specialty spaces, lockers, interview rooms, evidence processing rooms, and a municipal courtroom as well as an additional 10,517 sq.ft. of vehicle garage and drive through sally port. 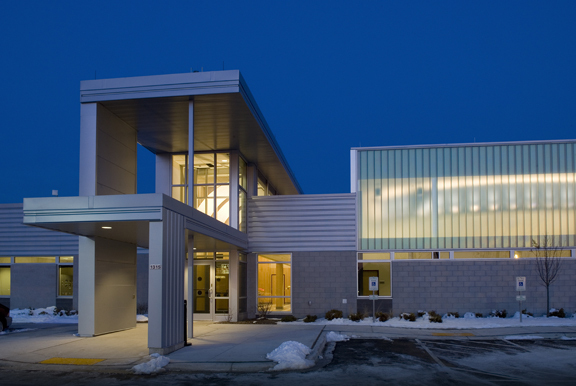 The steel-frame construction supports horizontal metal siding and decorative masonry. 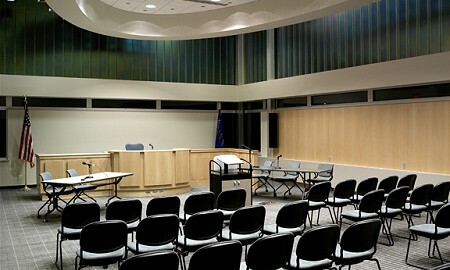 The courtroom is covered with insulated channel glass on two sides to provide maximum natural light. 33,626 sq.ft. with additional 10,517sq.ft. of vehicle garage and drive-through sally port. Building specs: New police department included Community Courtroom space, holding cells, vehicle storage, and communication/data centers.